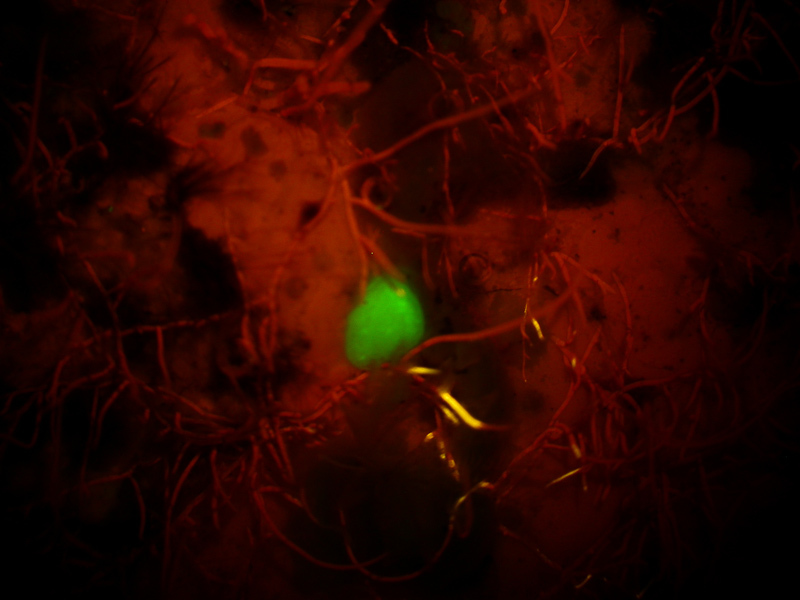 Fluorescence is a valuable tool for research on coral recruitment and survivorship. 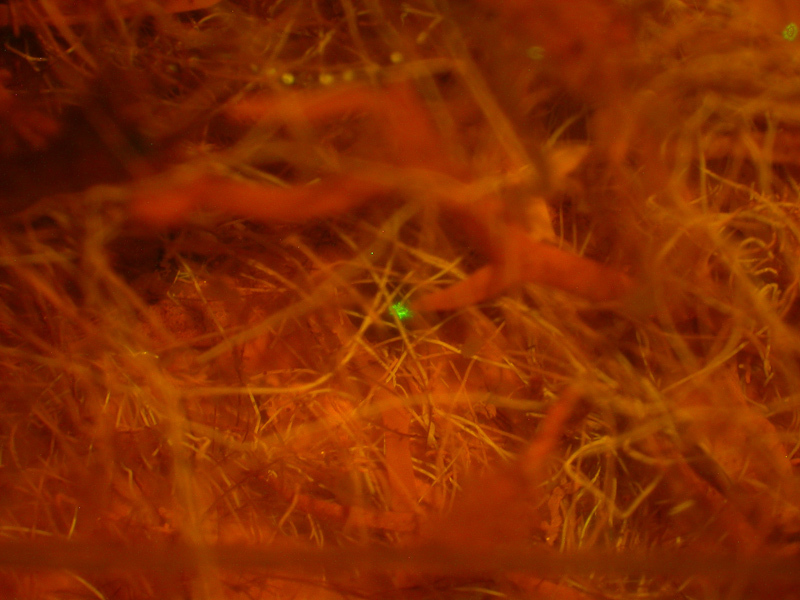 Fluorescence makes it much easier to locate tiny corals both on the reef and in the lab. 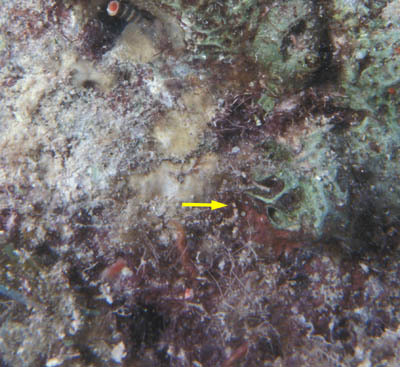 With conventional searching techniques it is essentially impossible to locate juveniles until they are at least 5 – 10 mm in diameter. By this time they are between 6 months and a year old. This misses an important early part of their life history and makes it difficult to estimate survivorship in natural conditions. With the BW-1 and FL-1 dive lights you can use fluorescence to search for coral recruits and juveniles both at night and in the daytime. Detecting small things is all about contrast, and fluorescence brings juvenile corals out in strong contrast. 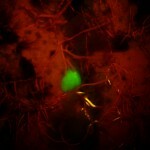 If a coral fluoresces it will generally appear as a bright green spot against a dark background. Researchers can find corals 5 mm in diameter from more than 2 meters away, and corals as small as 1 mm in diameter in routine sweeps of patches of reef. Researchers often deploy settlement tiles on the reef and collect them later to find out what has settled on them. 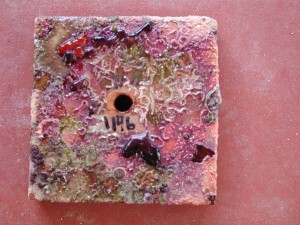 Fluorescence makes it easier to find corals on the settlement tiles. 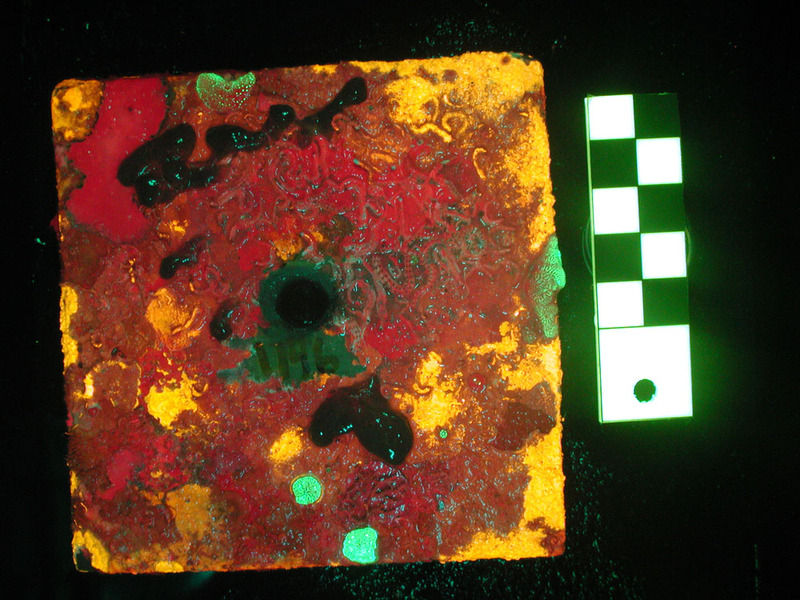 The images below are white-light and fluorescence images of a settlement tile that had been deployed on the reef in Bonaire. It helps to inspect the tiles under a stereo microscope, and it is now easy to add an economical fluorescence capability to your existing stereo microscopes with the Model SFA Stereo Microscope Fluorescence Adapter. Several publications deal specifically with this application of fluorescence. Piniak, G. A., N. D. Fogarty, C. M. Addison, and J. Kenworthy, 2005. Fluorescence census techniques for coral recruits. Coral Reefs, 24:496-500. Can you find ALL recruits with fluorescence? No. Not all coral recruits fluoresce, and some that do fluoresce do not glow brightly enough to be found easily. Keep in mind that not all adult corals fluoresce either, and even within a species there may be both fluorescent and non-fluorescent morphs. How far away can you spot a 1 mm recruit? From our own experience, we have certainly seen many, many small bright dots from a meter or more away without looking very hard. 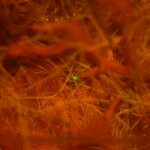 If you do find a small (1 – 2 mm) fluorescing feature, is it definitely a coral? Not necessarily. 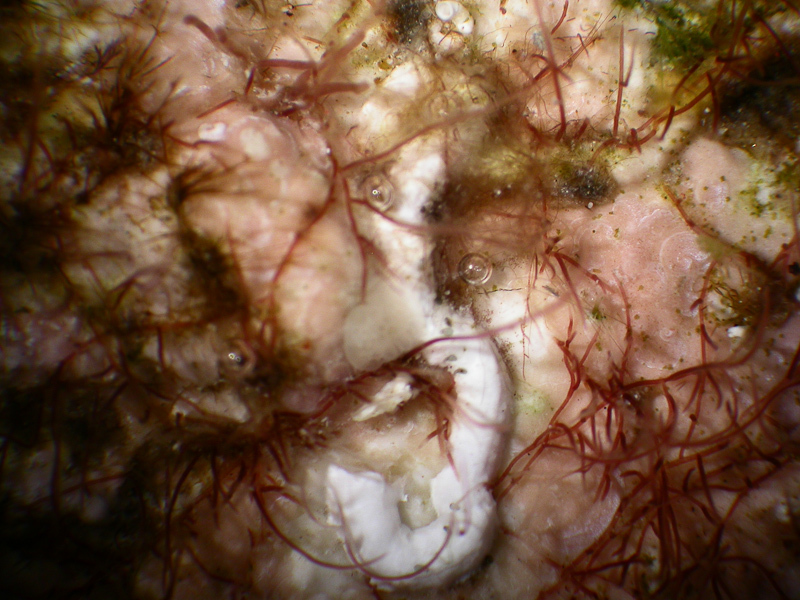 There are many small non-corals that fluoresce, including anemones, corallimorphs, zoanthids, hydroids, etc. 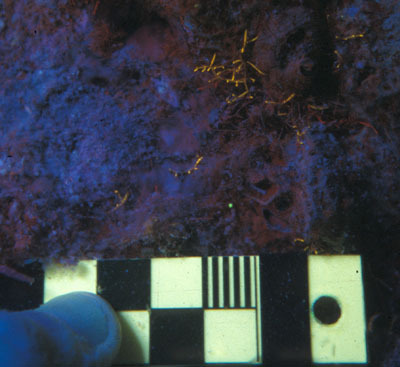 Even small mobile invertebrates such as some polychaetes fluoresce. 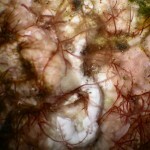 It can be a challenge to know what is a coral and what is not. How do you identify what you have found? Identifying to species difficult to impossible. 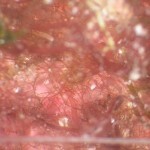 In the field you at least want to be able to distinguish coral from non-coral. A good magnifier is recommended. Do you have to dive at night? No. With the NIGHTSEA BW-1 and FL-1 lights you can find coral recruits in the daytime. Does fluorescence work with settlement tiles? Yes, you can use any of the NIGHTSEA underwater lights to inspect settlement tiles visually, or use fluorescence photography to systematically document growth on the tiles. 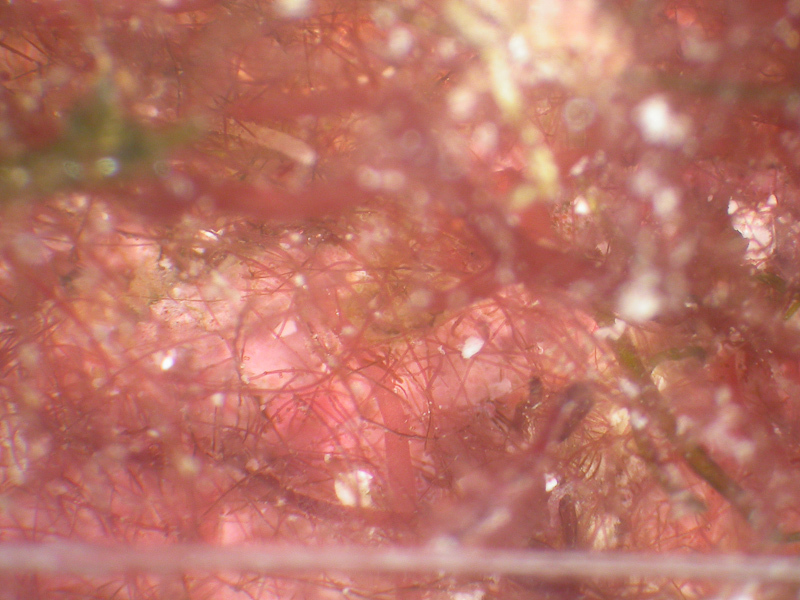 Fluorescence also works well when inspecting settlement tiles under a stereomicroscope. NIGHTSEA offers a simple adapter that adds a fluorescence capability to just about any existing stereomicroscope.